​After leaving Per and Monica's, we rode over the Oresund bridge and tunnel combination to Copenhagen, then on to Bandholm, where we had booked a room for the night. 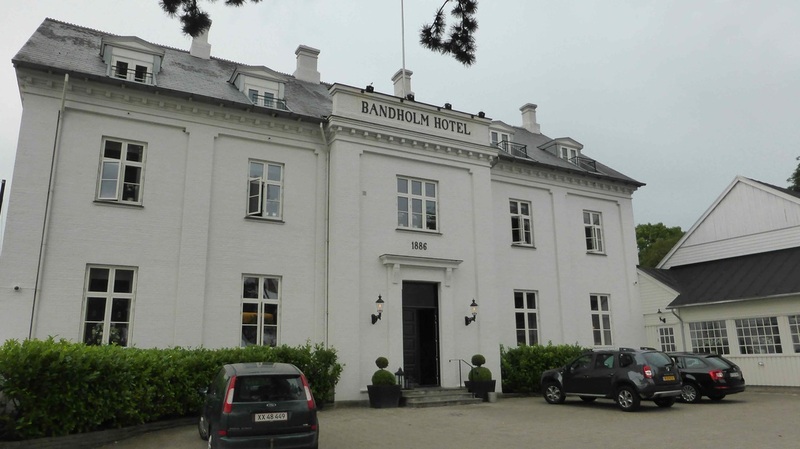 Denmark is also expensive, but we got a good deal on the room here, and it was very nice too. The next morning we woke to cloudy skies, and the rain that followed shortened our walk around the harbour after breakfast. It gradually cleared, and we rode down to the ferry at Rodby, where we were lucky enough to get an earlier ferry than the one we booked. From there it was a ride across flat country to Hamburg, where we had booked a B&B for the night. Our passage through Denmark was quick, and we didn't see much, because we found it expensive, and the weather wasn't being kind to us either. I'm sure if the weather was better, and we spent more time there it would have been different, but that's just how it worked out.